Our Purchase Bank Guarantee Owned is issued by World Top 100 Banks, we use the Bank SWIFT Network to have clients Owned Bank Guarantees (BG) delivered Bank to Bank using SWIFT MT799 followed by SWIFT MT760. 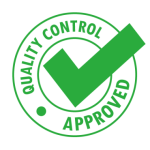 We operate a reliable, efficient delivery and authentication process. The Deposit Refund Protection Program Guarantees clients Deposits are 100% Safe AND ensures clients Deposits are paid back in FULL to their bank account BEFORE we Deliver the Bank Guarantee (BG) to the clients nominated Bank coordinates. This is a unique Program that is only available to clients of Secure Platform Funding! We specially structured this program to provide clients with the safety, security and peace of mind they deserve when Purchasing an Owned Bank Guarantee (BG) from us. We strongly recommend ALL clients complete the Deposit Refund Protection Program prior to purchasing an Owned Bank Guarantee. 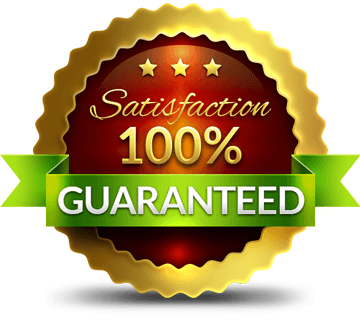 14 Massive Advantages when you Purchase Bank Guarantee (BG) from us! Your Deposit is 100% Capital Protected and Repaid in Full to you BEFORE we Deliver the Bank Guarantee (BG) if you enroll in our Deposit Refund Protection Program. Clients MUST be able to pay the above Deposit to have the BG Delivered to their bank. Clients MUST be able provide a Bank Comfort Letter (BCL) proving they have the funds in their account currently to pay for the 48+2 cost of the BG when it is delivered. These two important criteria are Non Negotiable! The SWIFT MT760 is Delivered 2 Days after the Issuing and Receiving Banks exchange MT799s. Within three (3) banking days after the Provider has received the clients Deposit, the Provider will instruct his issuing bank to create the Bank Guarantee (BG) for the Beneficiary and schedule it delivery to the Beneficiaries Bank. Within ten (10) banking days Providers issuing bank then issues and sends a Preadvice Notification via swift MT799 to Beneficiaries designated bank receiving account. (Provider shall provide a copy of said MT799 to the Beneficiary by email). When the Beneficiaries bank has replied to the MT799 by SWIFT, then the Providers issuing bank issues and sends the Bank Guarantee (BG) via swift MT760 to Beneficiaries designated bank receiving account. (Provider shall provide a copy of said MT760 to the Beneficiary by email). The Beneficiaries bank verifies, and pays for the Bank Guarantee (BG) within Ten (10) banking days, and additionally pays out the consultancy fees/commissions. Providers bank, within three (3) banking days of receipt of full Invoice payment for the Bank Guarantee (BG), sends the hard copy original Bank Guarantee (BG) to the Beneficiary’s Bank by bank-bonded courier. I learned that it pays to hang around with people better than you are, because you will float upward a little bit. And if you hang around with people that behave worse than you, pretty soon you’ll start sliding down the pole. It just works that way. Accepted Criteria: Clients that comply with our required Client Standards and accurately and correctly complete the Purchase Bank Guarantee (BG) Owned Application and MUST submit it with completed Bank Comfort Letter (BCL). Any Bank Guarantee (BG) application where the client cannot or does not want to pay the required Deposit for the delivery of the BG. 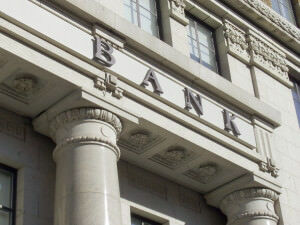 Any Bank Guarantee (BG) application that does not include a completed Bank Comfort Letter (BCL). 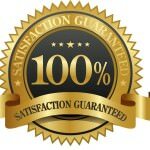 Our Purchase Bank Guarantee (BG) delivery service is Non Negotiable. We do not change the terms, structure, delivery procedures or prices of this service. We no not offer FREE Bank Guarantee (BG) or allow clients to pay for the Bank Guarantee (BG) after the MT760 has been received. If the Bank is not paid the Deposit to send the Bank Guarantee (BG), then no Bank Guarantee (BG) will ever be sent or delivered. Banks simply do not work for free or on the hope that after they deliver a Bank Guarantee (BG) by MT760 that the client may pay them. For more information on this, please read here. When you Purchase Bank Guarantee (BG) Owned the client must produce a Bank Comfort Letter (BCL) as detailed in the Application below. No BCL, No Agreement, No other Option! 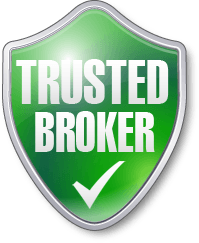 We solely deal with real deals, real people and real Owned Bank Guarantee (BG) that need to be delivered to our clients nominated bank accounts. The Bank SWIFT Network is the Gold Standard that validates all aspects of this transaction and provides a respected industry platform where a safe settlement can be facilitated. Close your successful Purchase Bank Guarantee transaction with Secure Platform Funding.